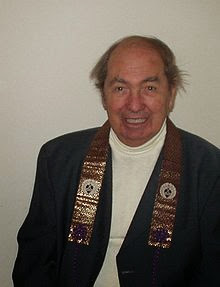 I have just read about the death of my nembutsu friend - Myoshin Friedrich Fenzl from Salzburg. Many new European followers do not know him and perhaps never met him in person, as he was quite isolated in the last decade due to his advanced age and ilness. 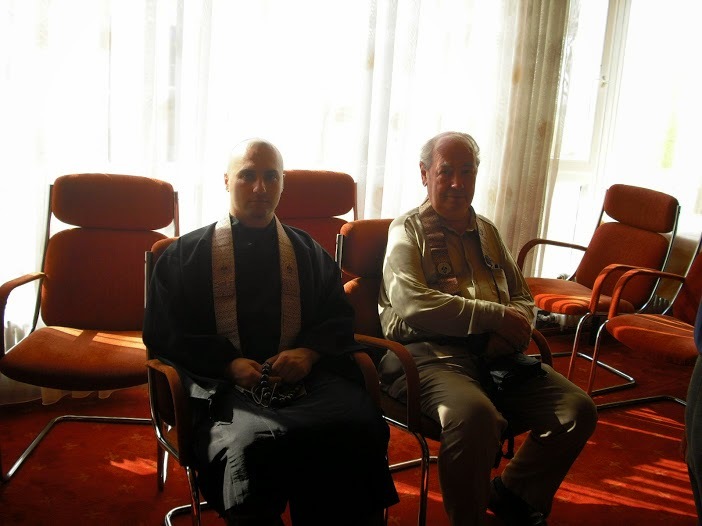 He played a very important role in my religious life, as he was one of the first persons I came into contact with, many years ago, in my first days on the nembutsu path. I remember even now, the great surprise I had when I received his first letter, together with the best book a beginner like me needed to read at that moment – A Standard of Shinshu Faith by Ryosetsu Fujiwara. At his suggestion I immediately started to translate it into Romanian, and was soon published by IABC in the Shin Buddhist Romanian Translation Series, number 1 (2001). Since then we’ve kept a constant correspondence by post mail, as he was never comfortable with internet. Recently, I was thinking to him a lot, feeling guilty and ashamed that I have not written to him for a long time. I think it was two or three days ago when I decided again to send him a letter together with my book, The 48 Vows of Amida Buddha. Then, today, when I was surfing the internet I read the news of his death on the German website…..
Too late to send any letter now, and a hard lesson for me to never again postpone expressing gratitude to those who helped me on the nembutsu Path. My only relief is that after being born in the Pure Land of Amida, he will be able to forgive me and watch over me as an Enlightened friend. I was so sad to hear of the passing of your dear friend and mentor. He will be in the Pure Land and will be watching over you and helping sentient beings, and fulfilling his life's purpose and dream. I hope you find some peace knowing this. I was sad that I did not show enough active gratitude to him, before his passing, for his kindness and support when I was a beginner. I personally do not have one personal mentor. In fact, all my nembutsu friends with simple faith, are my mentors and teachers. I often learn from reading or hearing their words of faith.